Elementary school teacher turned literacy instructional coach. Dialogue matters. So does fun. Not much needs to be said here, watch the video. She says it all. This is a stand alone post, something that should be viewed and reflected upon at the beginning of the school year. Thank you, Penny Kittle. Take 5 minutes to sit and listen. Thanks to a wonderful teacher friend, my library arrangement has been significantly enhanced! 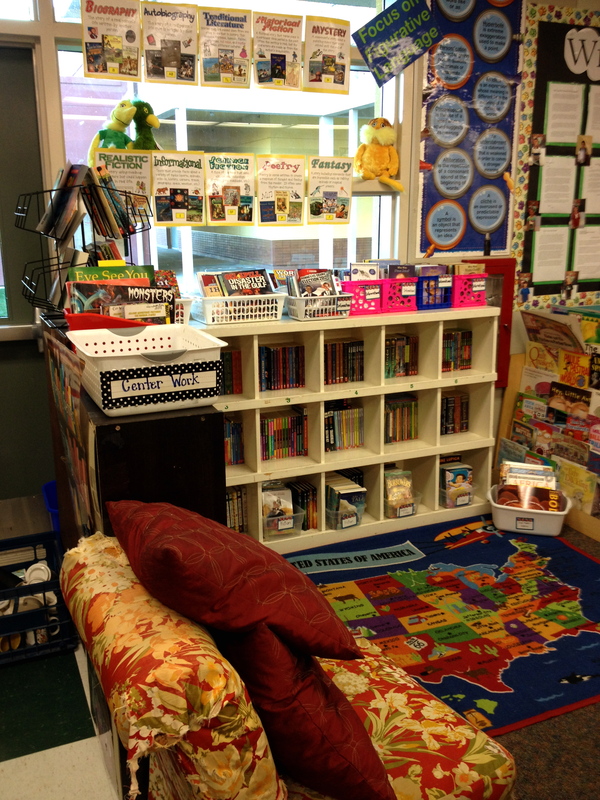 Anyone that knows me, knows that I am a little “crazy” about my class library. I think “crazy” in a good way meaning I’m always trying to get more books for the kids, add little displays, rugs, chairs, etc. I just want to lure the students in there and, let’s be honest, it has to look nice. Books need to be updated constantly which is why I’m a major pusher of the Scholastic Book Orders. I love this company’s deals! For every student that orders online, the class gets $3 to spend on books! What?! One order I got over $60 in free books! If you are not already using Scholastic, I suggest you get on it. Back to the original point, my lovely friend gave me some new shelves and displays that actually spin (ooooooh!). The library is looking sweet! 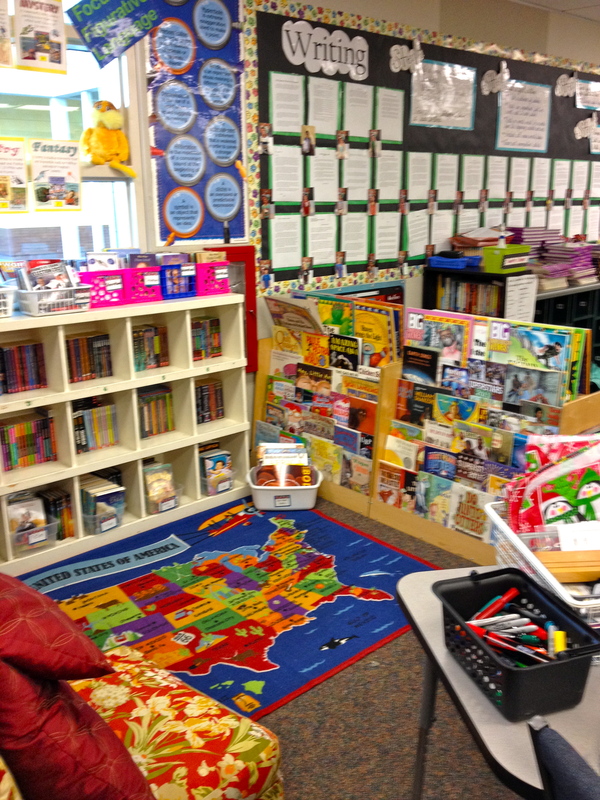 How do you build your class library? 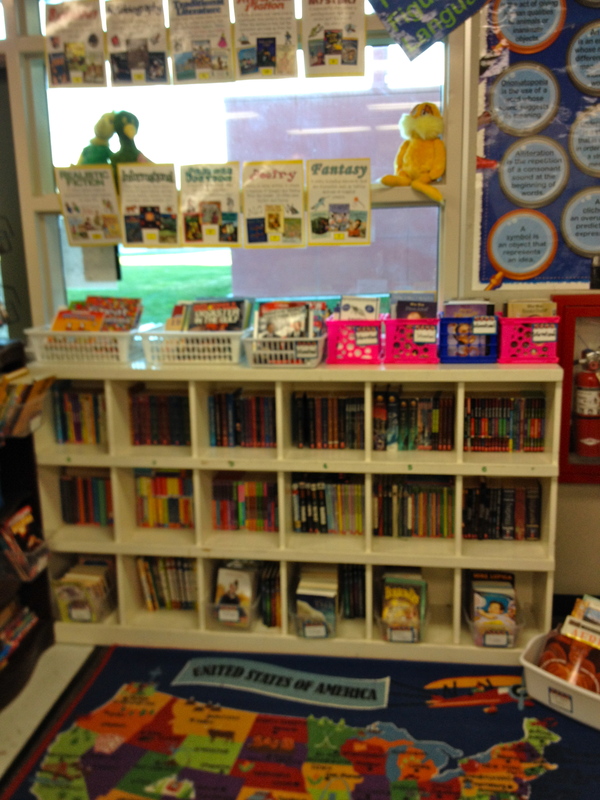 Upcoming….just had a project funded on Donorschoose.org–8 kindles are being shipped to add to our library. Details to come. Is it crazy that a class library can make me so happy inside? Take it in from all angles! 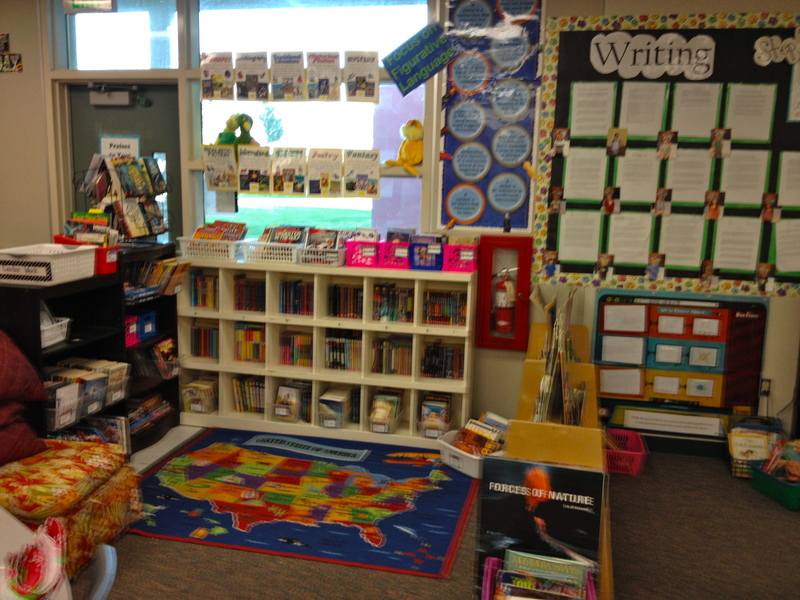 My class library remodeled! Love the addition of the chair to the library. The kids still love reading on the couch and in the reading cave, but another sitting spot is always needed.